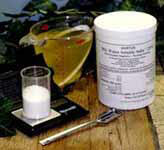 A gram of Hortus IBA Water Soluble Salts active ingredient costs about buck a gram with NO special shipping or packaging charge. A gallon of mostly alcohol "generic" premix costs about $210+ $15 for Special Hazardous Shipping Charges or about $225/gallon! 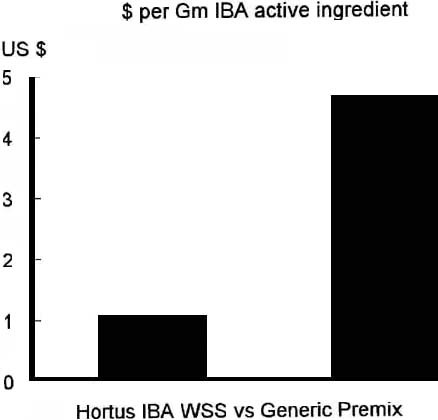 Expensive "Generic" alcohol base premix cost about $4.63/gm IBA! These plant rooting products are completely free of potentially phyto-toxic and flammable alcohol. You make solutions from very dilute to extremely concentrated. The solutions are odorless. Both are US EPA registered with WPS Zero Hour REI. Growers can apply the products and remain in the growing area.